Mountain peaks, tranquil lakes and rivers, striking gorges and beautiful national parks. Gold coast	Gold Coast has more than 70 km of fantastic beaches, and Paradise country tour. After breakfast, Check out & be ready to meet your Coach Caption & Tour Manager ,Transfer to Auckland Airport to board your flight to Queenstown ,Upon arrival, Check-in to the Hotel, Overnight at hotel. Queenstown is one of the most scenic place in New Zealand and best place to relax and enjoy the beauty of Lake Wakatipu and mountain. After breakfast, we follow the southern arm of Lake Wakatipu to Lumsden and onward to Lake TeAnau. Enter the Eglinnton Valley and travelthrough the breath-taking man-made Homer Tunnel to reach Milford Sound. Enjoy the world-famous Cruise there. Return to Queenstown. Overnight at hotel. After breakfast, transfer to Airport to board your onward flight to Sydney. Upon arrival at the Airport, meet our local representative followed by transfer to the hotel. Time free to relax. Later enjoy Gala evening at Showboat Cruise with Indian dinner onboard. Overnight at hotel. Today in the morning, enjoy breakfast in the hotel & we start our guided half day City tour of Sydney including Darling Harbour, Bondi Beach, Opera House (outside), Harbour Bridge (outside), China Town & other interesting places in Sydney. 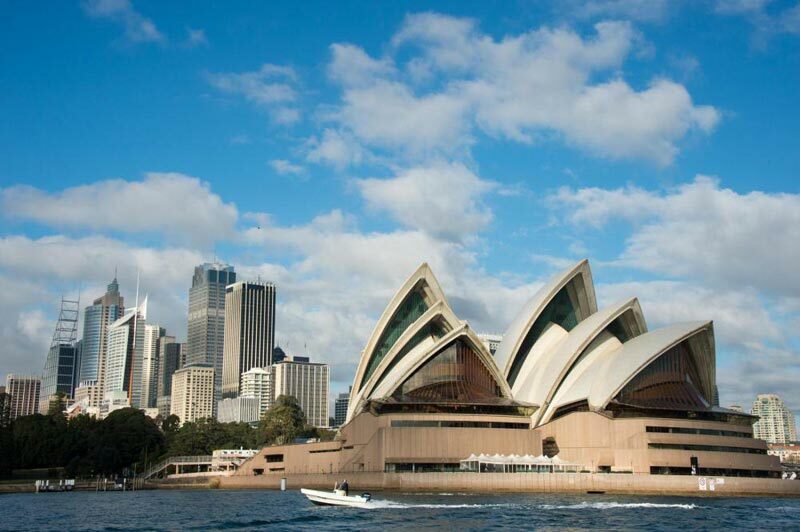 Enjoy the 03 Best Attractions of the City -Sydney Aquarium, Sydney Tower & OZ Trek (in half day tour). Overnight at hotel. After breakfast, transfer to the Sydney Airport to board your flight to Brisbane. 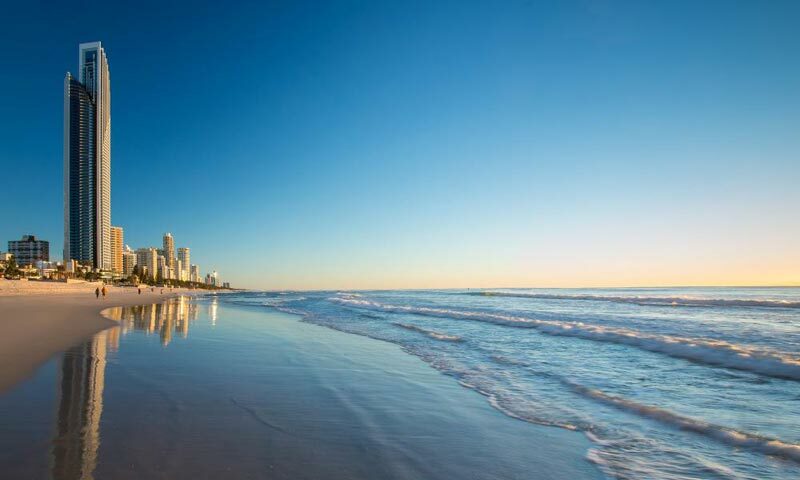 Arrive Brisbane and transfer to Gold Coast - The Gold Coast has more than 70 km of fantastic beaches, and Surfers Paradise is home to the 'best beach in the world'. Enjoy paradise country tour. Check in at the Hotel. Overnight stay at hotel. Today after breakfast proceed for full day Sea World Theme ParkWith Helicopter Ride (10 min). Sea World on Queensland's Gold Coast is the coastal strip's oldest theme park. With an obvious emphasis on things that live in the water, Sea World has a fantastic range of fish, sharks, dolphins, seals, Polar Bears and other assorted animals on display in realistically natural environments. Throw in a bunch of great rides, water slides, roller coasters and stunt shows, and Sea World emerges as perhaps the best all-round theme park on the coast. It remains a showcase of marine life wonders and a place where you can enjoy various rides, shows and other attractions. Overnight at hotel. After breakfast visit Warner Bros ‘Movie World’, enjoy watching your Super Hero Batman. Get ready for an exciting journey with some spectacular special effects, stunt shows, comedy act etc like Police Academy, 3D Show, Wild Adventure & special show by the Batman & Cat Girl. Movie World is one of the only movie-related theme parks in world. Its half part theme park & second half is movie studio, with one of the best roller coasters on the coast and a good handful of movie related rides you'll experience a fun-filled adventure with the glitz and glamour of Hollywood. Get 'behind the scenes' movie info and worlds best live stunt shows to keep the whole family entertained for the best part of a day. Overnight at Hotel. After breakfast, transfer to the Brisbane Airport to board your flight to Melbourne. Arrive hotel, after check in proceed for City Tour. City Tour Includes Fitzroy Garden, St. Patricks Cathedral, Royal Exhibition Building, Federation Square, Arts Centre, Shrine of Remembrance, Town Hall & Parliament House. Later evening enjoy Standard Indian Dinner followed by overnight stay in Melbourne hotel. After breakfast at hotel, enjoy Full Day Great Ocean Road Tour. Enjoy the panoramic views of Pt Phillip Bay & see the amazing Twelve Apostles/ Loch Ard Gorge & London Bridge. After Tour transfer to Indian Restaurant for Dinner. Overnight stay in Melbourne hotel. After breakfast, check out & transfer to Melbourne Cricket Ground for a guided tour after that transfer to Melbourne airport for your return flight. ROE 01 AUD = INR 51.00 has been taken for the above costing incase in Variation we will charge accordingly on the day of making final payments. Above cost based on minimum 35 Adults. All tours are subject to Dewan Holidays tour conditions. If, as a result of cancellation, number of persons in a group is reduced below 40 persons, then cost of cancellations of any services shall be worked out and charged extra. Cancellation after issue of visa and / or after payment is received shall attract a cancellation charge as per Airline and Hotels Cancellation policy and Visa fees will be non-refundable ….